Travellers Rest circa 1925. See note below. Photo courtesy of V. Hopkinson. 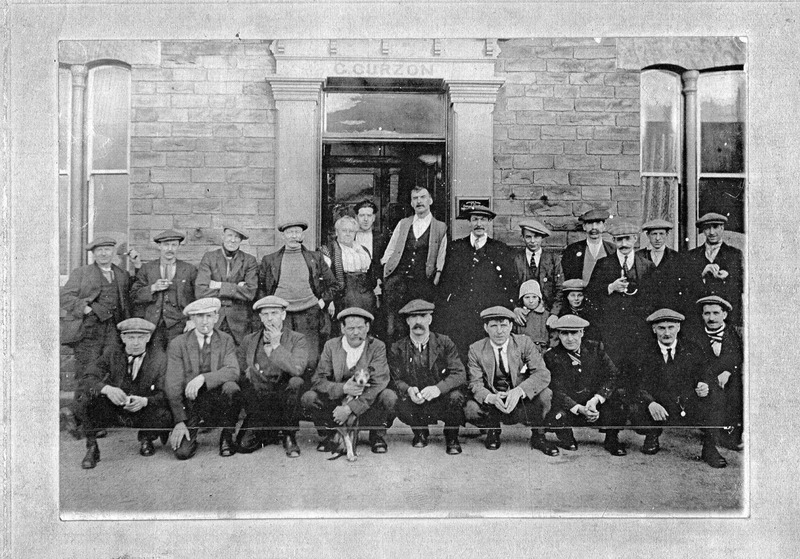 Front row: Frank Longston, Alf Thorpe, Herbert Massey, Unknown, Herbert Wilks, Arthur (Erno) Widdowson, Thomas Dover, ? Jenkins. Back row: Albert Thorpe, Unknow, Jake Bentley, George Longston, Mrs Curzon, Billy Curzon, George Curzon (Landlord), Bill Young, Billy Booth, Soran Riley, George Cartwright, Snip Masse3y, ? Cooper. Children: Iris Jenkins, Les Stephens.